As families around the country prepare for their holiday celebrations, Margay Racing is hard at work getting ready for the World Karting Association’s Margay Sprint Nationals at the historic Daytona International Speedway. As the primary event sponsor, all-time leading Manufacturer’s Cup winner and U.S. chassis manufacturer Margay Racing will host 23 karts at the event with stout talent competing for top positions in all Yamaha, TaG and Briggs categories. Margay Racing factory driver Spike Kohlbecker will compete in IAME and Yamaha Junior, looking to defend his impressive victory at the event in 2015. Joining Spike in Yamaha Junior will be reigning Gateway Kartplex track champion Evan Stamer, local teammates Gage Rucker, Grant Palmer and Nolan Baltz. Colorado Briggs Sportsman standout Tim Trostel Jr. will join the team for his first event since moving up to the Junior category. Leading the red and black in Briggs Senior will be Ribtect founder and former IKF champion, Robby Mott. Team ProKart’s Jordan Bernloehr and Tyler Jasperson are making the trip from Minnesota, expecting to make an impact on the popular 4-stroke field and land themselves on the podium. Bernloehr is coming off a 206 Cup series championship last summer and is ready to make a strong debut in WKA competition. Reigning Ignite Senior champion Ryan Bettenhausen will lead a strong Kartplex contingent along with Eric Loddeke, Jon Vernier, Paul Fodde and Rod Scharf. Reid Sweeney returns for his sophomore year in WKA competition, where he will battle with some of the best young drivers in the country in IAME Pro Swift and Yamaha Sportsman. Joining Reid will be Springfield, Missouri’s Cameron Myers. 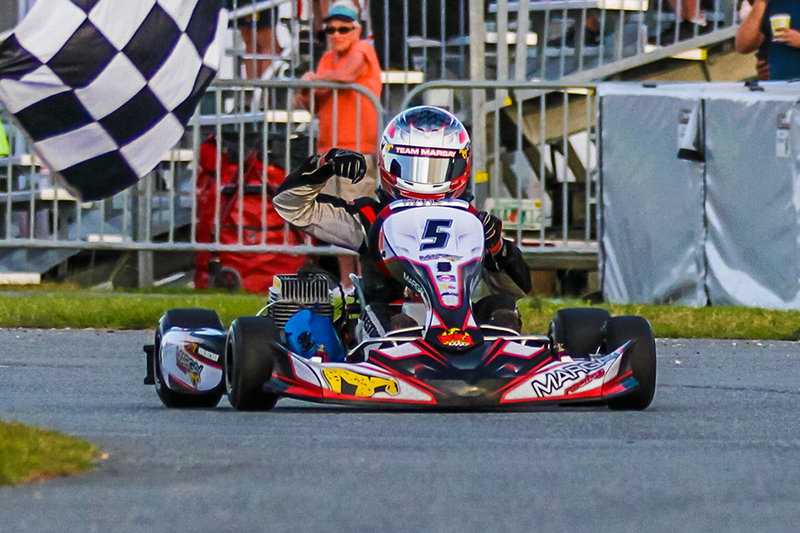 After an impressive Ignite Rookie season at the Gateway Kartplex, Cameron expects to turn heads in Mini Swift category this season. Yamaha Senior will feature Brad Brittin and Jim Rucker. Joining in the adult 2-cycle ranks is Midwest Micro-Sprint standout Christian Ray puts himself back in a kart seat in the IAME Senior category. For updates from the event, follow us on Facebook at http://www.facebook.com/MargayRacing and Instagram at https://www.instagram.com/margayracing/. For information on 2017 Arrive & Drive opportunities, please contact Margay directly.